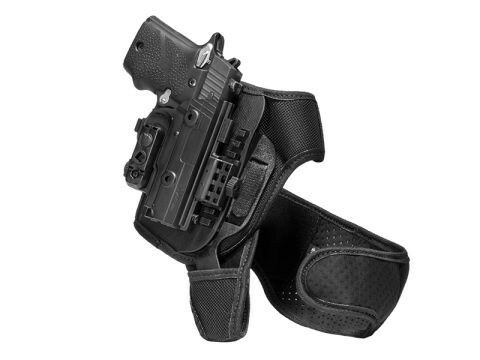 You may already have an M&P Shield ankle holster already, so why would you be looking at this one? Because the other one - or other ones; a LOT of people have a holster drawer out there - just doesn't work as well as you'd like it to. 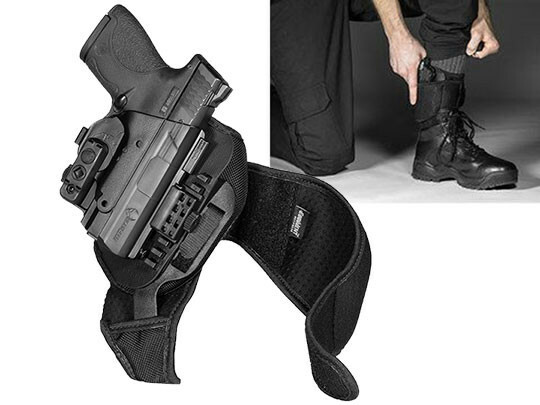 You want, in fact demand, an ankle holster for M&P Shield 9mm guns that carries better. That carries comfortably, so you can wear it all day without too many issues. That carries securely, so you don't have to worry about it when you do. Normally, you have to trade one aspect for the other. What we're here to tell you is you don't have to. First, the comfort. You'll notice the plush neoprene strapping, which is firm enough to be secure but soft enough to be comfortable when its strapped against your ankle. 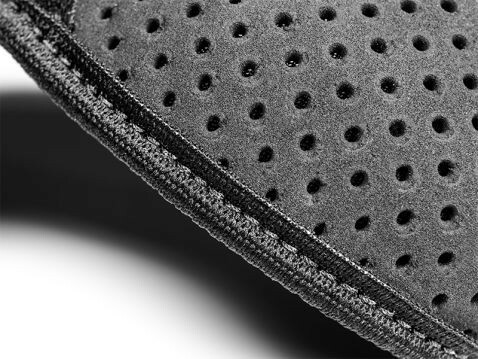 Then you'll notice that it doesn't create a swamp on your ankle, since our Cool Vent perforated neoprene breathes against the skin and wicks away moisture. 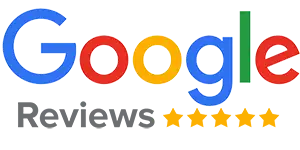 Next, security. 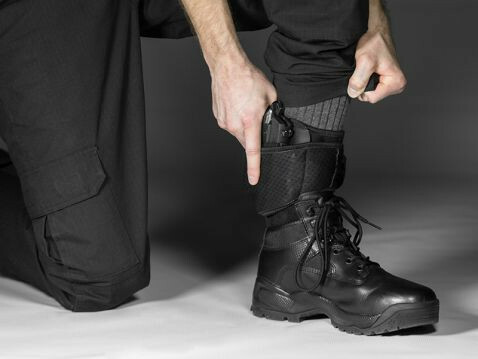 The two-piece design anchors the holster at the ankle and the heel, giving the holster vertical and horizontal support. 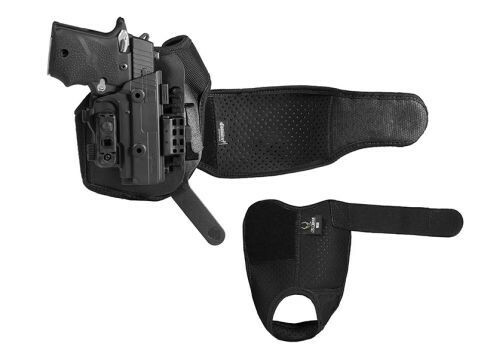 The holster stays where you place it instead of moving up and down as you walk. You can also adjust the ride height to find the best carry position for you. 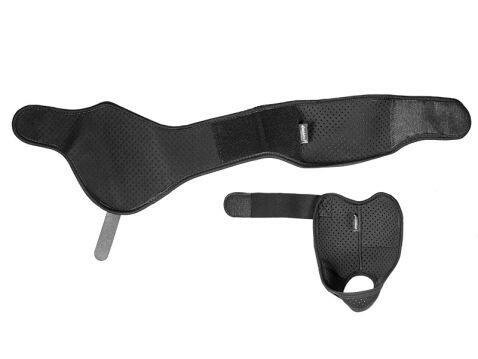 You'll also notice the fit and retention are as good as any IWB or OWB holster. 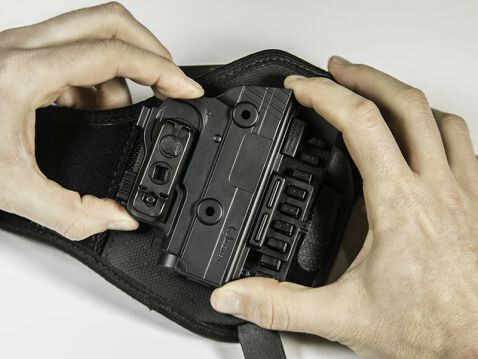 Our M&P Shield ankle holster is custom-molded for this - and only this - pistol, with the ShapeShift shell system that fully wraps the trigger guard. 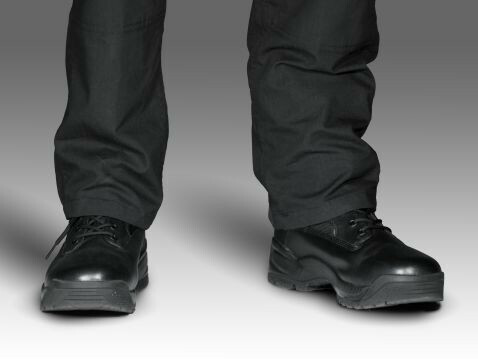 You get the custom fit and the enhanced security of a fully enclosed trigger. Passive retention is also adjustable; set it as tight as can be or back it out, whatever you want. Want peace of mind after the purchase? Our product guarantee is Iron-Clad. The Alien Gear Iron-Clad Guarantee includes a 30 Day Test Drive trial period after purchase and a full and comprehensive Forever Warranty on the holster against any and all defects or damages. Get ready for a shift in how good ankle carry can be.